Metallic and non-metallic cord grips fight corrosion from liquids, detergents and more. Remke's Corrosion Resistant Cord Grips and Cable Connectors are designed to withstand the extremes of water, caustic materials, detergents or surfactants. Available in either metallic or non-metallic materials in a wide range of conduit sizes, all of our cord grips either meet or exceed IP 67 or IP 68 standards. They can be ordered with a variety of thread styles such as Pg or Metric. Stainless Steel: Type 304 is IN-STOCK in conduit sizes from ¼ to 3 inches providing excellent corrosion resistance & toughness for use in food processing plants, medical product production and chemical manufacturing facilities. Type 316, available upon request, is a heavy-duty grade that withstands attack by many industrial chemicals & acids for the highest levels of corrosion resistance including use in FDA-mandated washdown applications. Nickel-Plated Aluminum: the appearance of polished stainless steel with protection against corrosion, wear, friction and contamination under severe conditions. 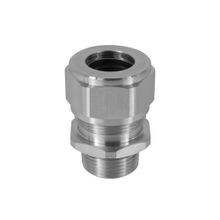 Available in ¼” to 3” conduit sizes for applications known for severe conditions including oil & gas, marine and chemical processing. Liqua-Seal Stainless Steel Cord Grips prevent corrosion and keep electrical connections watertight under the most adverse conditions. Rated IP 68 and NEMA 4X for strength, endurance and corrosion resistance, get all the corrosion resistance you need, with the right materials for reliability. Nylon provides excellent corrosion resistance, lightweight, durable and ideal for use in damp environments. 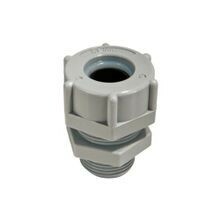 Available as a straight-body style in 3/8”, ½” and ¾” conduit sizes while the 90-degree body fits ½” and ¾” conduit. Valox® delivers superior corrosion resistance and suitable for use in FDA-mandated washdowns & applications with moisture. Available as a straight-body style in 3/8”, ½” and ¾” conduit sizes while the 90-degree body fits ½” and ¾” conduit. 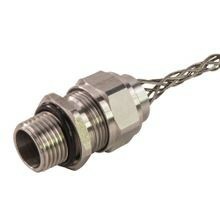 Non-Metallic Cable Glands are rated NEMA 6 and IP 68 and suitable for use underwater or in submersibe applications such as pumps, fountains and for marine use. Remke Engineered Solutions is entirely focused on meeting the needs of a single customer. 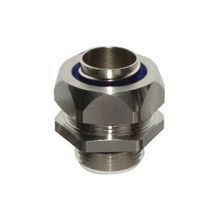 Our Job #1 is to develop application-specific, custom corrosion-resistant connectors that meet precise specifications.